As many of you know, a breastfeeding crisis responds to a clear increase in demand for the baby, who asks for breast at all times, may be nervous, irritable and seem insatiable. Coincidentally, these increases in demand occur more or less around the same time to all babies. So it shows that it is a habitual, biological and necessary behavior that most of us go through. Some mothers may not notice it, but most do, and it can be quite an exhausting experience. The three-month breastfeeding crisis is known as the most prominent and few are free from a few exhausting weeks. The good news is that it’s going to end some day! The 3-month lactation crisis is perhaps the most complex of all because it involves changes in the baby and changes in milk production. 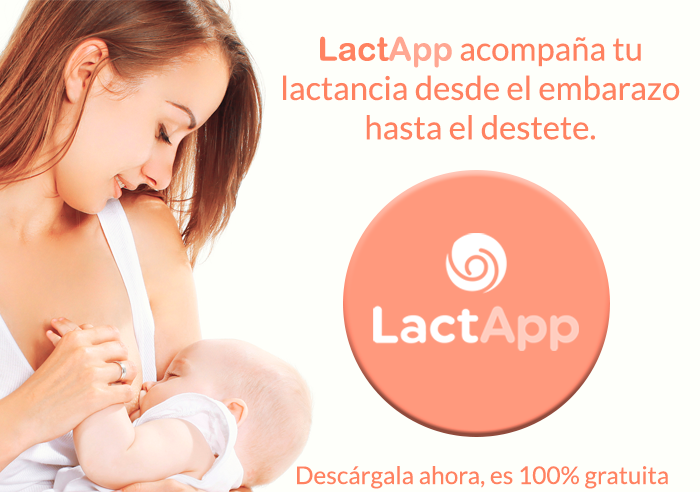 It is the crisis that leads to a greater abandonment of breastfeeding, because if you do not know the exact details by which it occurs, it is very easy to doubt about the ability to produce milk itself and start offering artificial milk supplements to the baby and, in a short time, stop breastfeeding. I feel my breast soft! Yes, and it’s normal for you to feel it soft. From three months the body is already an expert in making milk and what it does is adjust the production to the needs of the baby, stopping overproducing milk and doing so only when the baby asks and begins to breastfeed. This means that the breasts are soft, loose, which can create a false feeling of lack of milk production. And if I make the milk I need, why does my baby behave this way? Babies at three months are real experts at expressing breast milk. For them it is very simple to suckle, but they must learn to wait about two minutes, which is how long it takes the gland to send and receive the signal that will make possible an ejection of milk. And they are not used to this waiting and they have a hard time. Also, being experts when the milk begins to come out, they suckle in two or three minutes and no longer want to know anything more about the breast. There are many more things in the world apart from a breast! I try to offer the baby the other breast and he refuses. Can he eat in two minutes? Of course they can eat! They eat very fast and everything they need from one breast, when they try to offer them the other breast they get angry and don’t want to know anything about it, because they have already finished eating. To give you an idea, it’s the same as making mayonnaise by hand or with a mixer, they are undoubtedly the mixer and can eat in the blink of an eye. And on top of that, my baby gets distracted! The baby’s brain is growing very fast. Now a world opens up before him and he stops seeing only one face, his mother’s face, to see the world. And the world is wonderful and every little thing is a discovery. This makes the baby often more attentive to the world around him than to food. It can be desperate for the mother but it is part of her growth. But why does my baby breastfeed well when he’s asleep? Well, because asleep he doesn’t have any distracting stimulation and he concentrates on breastfeeding. That doesn’t mean that you have to breastfeed in the dark and without noise, no, not at all! Even if it seems impossible, breastfeeding a little bit at a time gets all the milk it needs and keeps gaining weight. And when is this lactation crisis going to end? Well, this is one of the longest crises we are going to experience. Babies usually take a month to learn how the breast works. Crises are more ours than theirs so encouragement and confidence. This too shall pass.